We know every parent group, even the most successful ones, has its own challenges. We also know (from years of experience working with groups just like yours) that if you have a group of active parents willing to help, it makes even the biggest of hurdles easier. That’s why we put together our very best, you-must-do-these list of 10 tips on how to put parent involvement first. Each one includes links on where to get more info, plus we help you dig deeper once you have a handle on all the basics. If you make involvement your top priority, every challenge your group faces this year will get a whole lot easier. 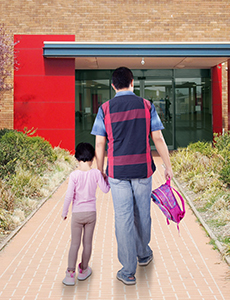 Get our 10 best tips and start putting parent involvement first! Two major studies by Anne Henderson in the 1990s and 2000s showed that parent involvement has a hugely positive effect on student achievement and other indicators of success. These studies were so influential that researchers today are still referencing them. More recently, a study published in 2012 by researchers at North Carolina State University, Brigham Young University, and the University of California, Irvine, reinforced Henderson’s earlier findings—and also found that family involvement has an even bigger effect on positive academic performance than the quality of the school building. It’s not just the students who benefit, either; parents, teachers, and schools come out ahead.